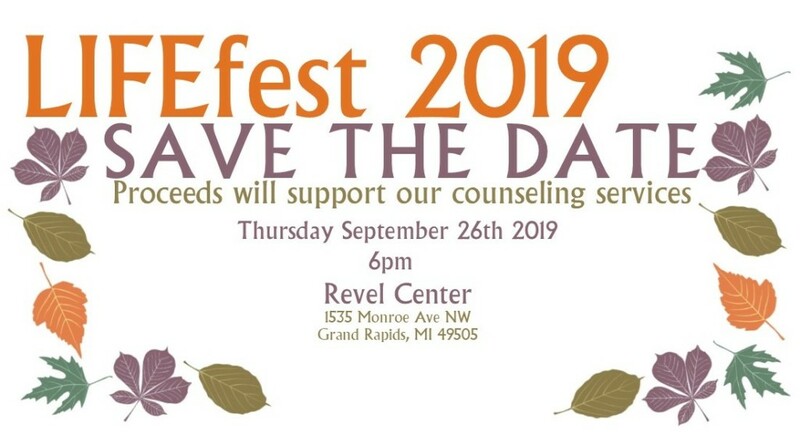 Please attend Franciscan LIFEfest, an event that celebrates our programs and supports their continuance. For more information, please contact Sarah Kelly at 616-897-7842 or email mailto:skelly@lifeprocesscenter.org. Proceeds will support our counseling program.